The National Museum of Bermuda [NMB] is opening its doors for free to all Bermuda residents during the month of February. 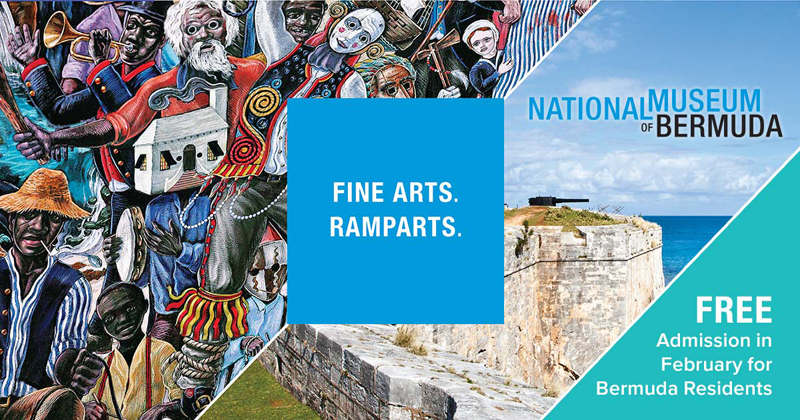 This is a gift from the NMB Board of Trustees to encourage residents to explore 500 years of local history and culture in Bermuda’s largest fort. 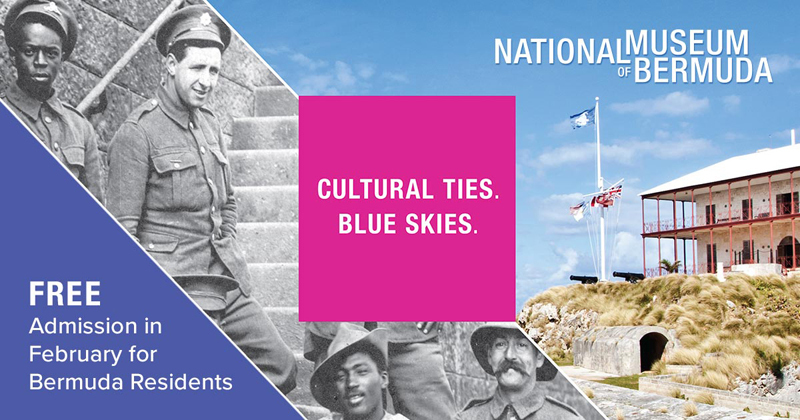 For four decades the National Museum, a non-government and not-for-profit, has been a steward of Bermuda’s cultural heritage, championing its preservation through collecting practices, exhibitions, restoration projects, conservation, research, publications, education and archaeology. Located at the Royal Naval Dockyard, the Museum spans 15-acres with eight Grade I listed buildings, including the award winning Commissioner’s House. A spokesperson said, “With over 80,000 artifacts in its collection relating to all aspects of Bermuda history, the Museum exhibits on a range of diverse topics such as: Bermuda’s cultural links with the West Indies and Azores, trans Atlantic slavery and slavery in Bermuda, Bermuda’s defence heritage, shipwrecks and early settlement, the building of Dockyard, local watercraft, the Bermuda Race and much more. “Don’t miss marveling at the 1000 square foot mural by local artist Graham Foster, exploring the collection of local watercraft and taking in the spectacular views along the ramparts. Let adventure and fun reign supreme in the whimsical Museum Playground and Playhouse complete with educational interactives and a 70ft giant moral eel.